The treatment paradigm for metastatic hormone-sensitive prostate cancer (mHSPC) patients is evolving. PET/CT now offers improved sensitivity and accuracy in staging. Recent randomized trial data supports escalated hormone therapy, local primary tumor therapy, and metastasis-directed therapy. The impact of combining such therapies into a multimodal approach is unknown. This Phase II single-arm clinical trial sponsored and funded by Veterans Affairs combines local, metastasis-directed, and systemic therapies to durably render patients free of detectable disease off active therapy. Patients with newly-diagnosed M1a/b prostate cancer (PSMA PET/CT staging is permitted) and 1–5 radiographically visible metastases (excluding pelvic lymph nodes) are undergoing local treatment with radical prostatectomy, limited duration systemic therapy for a total of six months (leuprolide, abiraterone acetate with prednisone, and apalutamide), metastasis-directed stereotactic body radiotherapy (SBRT), and post-operative fractionated radiotherapy if pT ≥ 3a, N1, or positive margins are present. The primary endpoint is the percent of patients achieving a serum PSA of < 0.05 ng/mL six months after recovery of serum testosterone ≥150 ng/dL. Secondary endpoints include time to biochemical progression, time to radiographic progression, time to initiation of alternative antineoplastic therapy, prostate cancer specific survival, health related quality-of-life, safety and tolerability. To our knowledge, this is the first trial that tests a comprehensive systemic and tumor directed therapeutic strategy for patients with newly diagnosed oligometastatic prostate cancer. This trial, and others like it, represent the critical first step towards curative intent therapy for a patient population where palliation has been the norm. Clinicaltrials.gov identifier: NCT03298087 (registration date: September 29, 2017). Metastatic prostate cancer is incurable, accounting for approximately 30,000 deaths in the United States each year . Treatment intent is palliative. The core treatment is androgen deprivation therapy (ADT) consisting of GnRH analogs, which deactivate the androgen receptor (AR) through systemic lowering of androgen concentration. However, relapse on ADT is inevitable. Modern cohorts of patients treated with ADT alone have a median time to failure and overall survival of 11 and 42 months, respectively . Patients are maintained on ADT continuously or intermittently until death. New therapeutics that potently suppress AR signaling beyond conventional ADT include abiraterone acetate and apalutamide, which interfere with androgen synthesis and androgen receptor-androgen binding, respectively. These drugs are approved for castrate resistant prostate cancer [3, 4]. Two large randomized phase III trials also showed that addition of abiraterone acetate to ADT improved survival in patients with hormone sensitive metastatic prostate cancer (mHSPC), underscoring the role of escalated, early hormone therapy in the metastatic setting [5, 6]. Stereotactic body radiotherapy (SBRT) enables safe and accurate delivery of ionizing radiation to metastatic lesions with local control exceeding 95% for prostate cancer metastases . A randomized trial showed that metastasis-directed therapy delayed time to initiation of ADT in patients with oligometastatic HSPC . Additionally, recent data from the randomized Phase II SABR-COMET trial demonstrated improvement in survival in patients with a controlled primary malignancy and 1–5 metastatic lesions undergoing palliative intent standard of care with or without metastasis-directed therapy. Notably, 16 of 99 patients enrolled had prostate cancer . The value of adding treatment to the primary tumor to ADT in mHSPC was suggested by retrospective analyses  and later by post-hoc subset analysis of oligometastatic patients from the randomized Phase III HORRAD trial . This observation was then confirmed in the recent STAMPEDE trial that showed a survival advantage to addition of radiotherapy to the prostate to standard of care systemic therapy in a preplanned analysis of the enrolled oligometastatic patients . A recent report of 20 patients with 5 or fewer metastases who underwent radical prostatectomy, ADT, and metastasis directed radiotherapy as part of a pilot program suggests a subset of patients may have a durable response to multimodal therapy . The incidence of patients presenting at diagnosis with metastatic prostate cancer has risen . A further increase in the frequency of patients diagnosed with de novo M1 prostate cancer is expected if and when PSMA PET probes receive FDA approval and are incorporated into routine care [15, 16]. PSMA PET/CT upstages a subset of patients to M1 who otherwise would be M0 by conventional imaging [17, 18]. With this confluence of treatment and diagnostic advances, the question arises whether a multimodal approach with aggressive, early treatment should be attempted with curative intent for oligometastatic prostate cancer patients. This single-arm trial, as well as others like it , tests the hypothesis that the combination of aggressive local, metastasis-directed, and hormonal therapy can achieve a durable undetectable disease burden in patients who are off therapy. The study is approved by the IRBs of VA Greater Los Angeles and VA Long Beach Healthcare Systems and is registered on clinicaltrials.gov (NCT03298087). The current protocol is version 3 dated March 26, 2018. The Department of Veterans Affairs (11,301 Wilshire Blvd., Los Angeles, CA 90073; 310–478-3711) is funding the study and Janssen is supplying apalutamide and abiraterone. Patients currently treated per standards of care will almost never achieve a durable undetectable PSA if systemic therapy is ceased and testosterone recovers. PSMA PET/CT may become FDA-approved within the next few years followed by adoption as part of routine staging. As such, we allow staging by PSMA PET/CT in this trial. Although not required, we anticipate that most enrolled patients will have undergone PSMA PET/CT. The trial schema is displayed in Fig. 1. Patients must be found to have metastatic prostate cancer without prior prostate cancer therapy. Patients are recruited from the urology, medical oncology, and radiation oncology clinics at the VA Greater Los Angeles and VA Long Beach Healthcare Systems, where the study has received IRB approval. Patients are consented by study investigators. Inclusion and exclusion criteria are determined by the study investigators. This is a single-arm study, with all patients enrolled to undergo treatment as below. Radical prostatectomy, open or robot-assisted, with pelvic lymph node dissection. This surgery is performed by an experienced urologic surgeon and is the first treatment intervention, preceding the systemic and radiotherapies. Post-operative pelvic RT. This is included if patients are found to have pT3a+, positive margins, or regionally involved nodes (N1). IMRT is delivered to the pelvic nodes (45–50.4 Gy) and prostate bed (66–72 Gy) in conventional fractionation according to RTOG contouring guidelines (modified as needed based on imaging). Gross disease may be boosted while respecting normal tissue dose constraints. This pelvic RT can extend beyond or be completed after ADT. Patients initiate leuprolide, apalutamide and abiraterone acetate beginning immediately (within 0–3 days) after radical prostatectomy. Patients will receive a single dose of leuprolide, SQ, 45 mg, a six-month depot, and start apalutamide (ARN-509, 240 mg PO daily), and abiraterone acetate co-administered with prednisone (1000 mg PO and 10 mg PO daily, respectively), for a duration of six months. Patients undergo SBRT to all radiographically visible sites of M1a,b metastases within two months of initiation of ADT. A biologically equivalent dose (BED) to tumor of > 100 Gy (for an alpha-beta ratio of 3) is a goal but is not required  as constraints must be met . Recommended SBRT dosing is displayed in Table 1. Scheduled treatment visits are every 30 days for the first year, and then every 3 months thereafter. Primary See Table 2 for schedule of evaluations. Each patient remains on study until unacceptable toxicity, disease progression, or withdrawal of consent, or two years. Even after completion of study, patients are offered routine post-trial care. Patients who leave the study prior to completion of therapy are not assessed for primary endpoint determination. Adherence to study drugs (apalutamide and abiraterone acetate) is monitored by pill count by study staff monthly during the six-month treatment period. Strategies to ensure adherence to study treatments and follow-up include ease of access to investigators and study staff by enrolled patients. Any clinical adverse event is recorded, managed as appropriate, and followed until resolution. Dose modifications for drug therapies are made based upon laboratory studies and observed toxicities. After completion of therapy, patients receive standard of care. The VA Clinical Sciences Research and Development (CSR&D) centralized Data Monitoring Committee (DMC) monitors this study. The DMC is a component of Veterans Affairs and independent of Janssen. The study investigators communicate directly with the DMC and supply the DMC progress reports every four months. Significant adverse events are reported promptly, including to the DMC, Janssen, VA IRB. The local VA IRB audits the trial annually. Plans for trial amendments are communicated to the IRB, DMC, sponsors. Amendments involving change of risk are additionally communicated to the subjects directly. The current study hypothesis is that 20% of patients will achieve a PSA < 0.05 ng/mL six months after recovery of testosterone to > 150 ng/dL. A sample size of N = 25 evaluable patients has an 80% power to test the null hypothesis response rate of 5.5% against a two sided alternative response rate of 20% at a significance level (alpha) of 0.1. Assuming 10% of patients may not recover testosterone to ≥150 ng/dL, total study N = 28. The primary endpoint of our study, percent of patients achieving a serum PSA of < 0.05 ng/mL six months after recovery of serum testosterone ≥150 ng/dL, is based on PSA and testosterone labs that are checked every 30 days after completion of systemic therapy for six months, and then every three months thereafter. Survival times for secondary endpoints are defined from the day of enrollment until the event (e.g. biochemical progression, radiographic progression, initiation of additional antineoplastic therapy). Data is centrally coded and electronic data is stored in secure, password-protected computers at Veterans Affairs, behind locked doors. Paper data is stored in locked filing cabinets at Veterans Affairs, behind locked doors. The study investigators and staff have access to the final trial dataset. Trial results will be communicated through publications and presentations when analysis is complete. The treatment paradigm for newly diagnosed oligometastatic HSPC is evolving rapidly. Recent data has shown the efficacy of intensified hormone therapy in addition to ADT [5, 6], treatment of the primary , and metastasis-directed therapy  – though each has as yet been studied in isolation. This study investigates the potential of a multimodal therapy combining each of these treatments. This effort is a first step towards curative intent therapy in a patient population that otherwise receives palliative intent therapy. VA and Janssen had no role in the study design, data collection, data analysis, interpretation of data, writing of report, or decision to submit report for publication. The study investigators make the decision to submit reports for publication. *NN is also a Prostate Cancer Foundation Young Investigator. This trial is funded by a Veterans Affairs, CSR&D Merit Review Award [CX16–006] ICX001575a (NN). Janssen is providing drug support only (abiraterone acetate and apalutamide). Additional information on the protocol is available by contacting the corresponding author. There is no data reported in this manuscript. Study conception: NN, MR, RR, WA. Initial Study design: NN, MR, RR, AK, WA, IG, Revision of study design and protocol: NRP, NN, MR, RR, AK, WA, IG, CB. Study coordination and acquisition of data: CH, JP, LJ, ST, NK, MT, SP, AS, MJ, GG, ML, SL, WI, RJ, HS. Drafting the manuscript: NRP, NN drafted the manuscript and all other authors revised. All authors read and approved the final manuscript. The study is approved by the IRBs of VA Greater Los Angeles and VA Long Beach Healthcare Systems and is registered on clinicaltrials.gov (NCT03298087). IRB reference number PCC:2017–040371. Subjects consent to participate after thorough discussion by signing of the IRB approved informed consent document. This manuscript does not include details, images, or videos relating to an individual person. The authors declare that they have no competing interests. Full disclosures for P.I. NN include: research support from Janssen, Varian, and Bayer; stock options with GSI Inc. and ROAR; and consulting with GSI Inc.
Yuan Y, Kishan AU, Nickols NG. Treatment of the primary tumor in metastatic prostate cancer. World J Urol. 2018. https://doi.org/10.1007/s00345-018-2552-8. Boeve LMS, et al. Effect on survival of androgen deprivation therapy alone compared to androgen deprivation therapy combined with concurrent radiation therapy to the prostate in patients with primary bone metastatic prostate Cancer in a prospective randomised clinical trial: data from the HORRAD trial. Eur Urol. 2019;75(3):410-418. https://doi.org/10.1016/j.eururo.2018.09.008. Parker CC, et al. 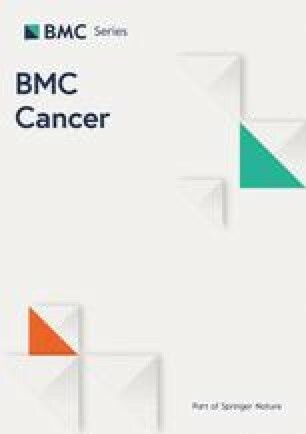 Radiotherapy to the primary tumour for newly diagnosed, metastatic prostate cancer (STAMPEDE): a randomised controlled phase 3 trial. Lancet. 2018. https://doi.org/10.1016/S0140-6736(18)32486-3. Hope TA, et al. Meta-analysis of (68)Ga-PSMA-11 PET accuracy for the detection of prostate Cancer validated by histopathology. J Nucl Med. 2018. https://doi.org/10.2967/jnumed.118.219501.